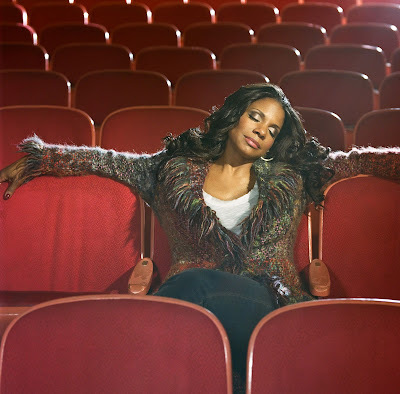 It is fair to say that Audra McDonald with her multiple Tony awards and unique voice and personality is a living Broadway legend. You shouldn't miss any opportunity to see her on stage and she is in town for few days performing at the Leicester Square Theatre. She'll be back in London in the summer is reprising the Billie Holliday role in Lady Day at Emerson’s Bar and Grill. As her West End debut this is shaping up to be a a much anticipated event. It was due to happen last year but had a postponement as she and husband Will Swenson were expecting a baby. Now these Leicester Square Theatre concerts will add to the buzz. Now the baby is backstage it's time to get down to some fine music making. 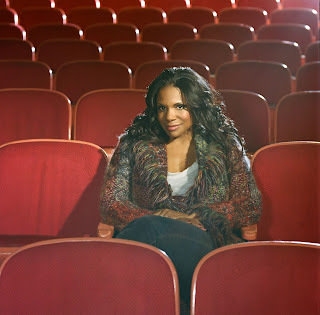 What is exciting about her is not only her musicianship and personality but her ability to champion new music. This has always come through in her recordings (of which I seem to have collected all of them - which probably makes me a bit of a fan). The format of these shows is her long-time friend and accompanist Seth Rudetsky serves as the host and accompanist. They sing and then chat. It's simple yet effective. During the course of the evening we learn about Audra McDonald's Juilliard School training. This helped her develop her incredible voice (and allowed her to maintain it). She also talks about being a mother, backstage gossip and her experiences. The stories are funny and she comes across as sincere. Each night is likely to be different but on Wednesday she opened with the song "When Did I Fall in Love" from the musical Fiorello! There was a hilarious new Lieder inspired by listings on Craigslist. She also sung "Maybe This Time" from Cabaret layering it with extra desperation and loneliness. But the highlights were the songs that made the most of her vocal abilities. These included "Summertime" from the Gerswhin's Porgy and Bess and a post 9/11 song "I'll Be Here", by Adam Gwon from his new work Ordinary Days. Her stories about motherhood also gave new meaning the Sondheim song "The Glamorous Life" from A Little Night Music. Catch it if you can. It's on for another three nights at the Leicester Square Theatre.